Presenting Sellacious Mega Version 1.5.0 ! This version is compatible with Joomla 3.8.x and Joomla 3.7.x series. 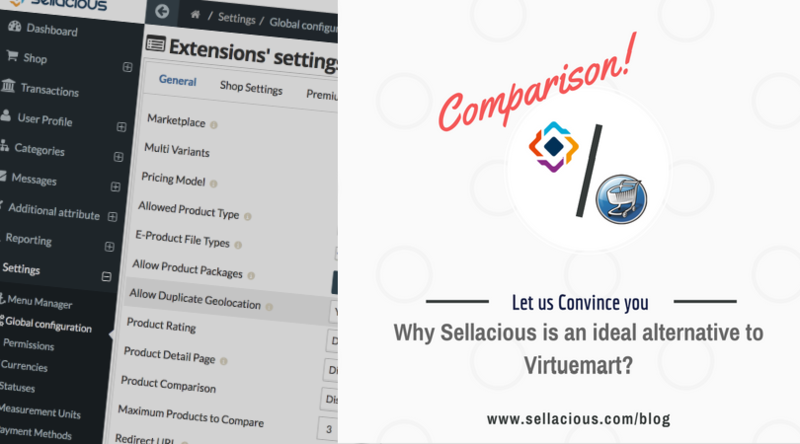 We took immense care while creating 1.5.2 and tested upgrade procedures with different variations, but sellacious is used in so many different ways by our awesome users and customised so widely that we always recommend you to take backup of your website before upgrading to latest version. It is always recommended to run the upgrade in staging environment and not to upgrade it on your live website. Login in your Joomla Administrator panel, and go to Extensions > Manage > Update you will find upgrades listed in the available updates. Upgrade Sellacious package, and Template. The default user which will login inside sellacious backoffice is the super admin of Joomla. There was a shutdown of the Yahoo Forex API permanently which was used in sellacious. That caused our forex conversions to fail. Fixer API was available already, but most of our users were not aware of it. Now we are supporting Fixer and Google Finance APIs, whichever you want to use can be selected from global configuration. You can now define multiple slabs for each shipping rule. Improvements in Cart shipping calculation API. Improvements in Sellacious Menu Manager. Earlier products list page has two layout Masonry Grid, and Flat List. A new layout with Fixed Grid is added. This can be configured from the global configuration. Backend edit link added in all products in frontend. Seller/admin can now directly jump to backend to edit the product from frontend. 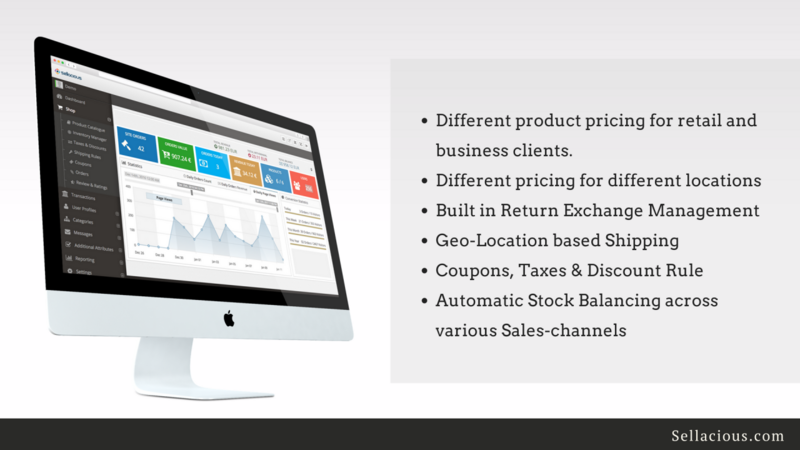 Added global, category level and product level stock handling to allow fixed stock inventories and one time inventories. Sync menu with sellacious category feature added with advanced option. See global configuration for details. Select comprehensive zoom lense configuration from global configurations. Set different image zoom options for desktop and mobile zoom in or pop out. You can choose in global configuration now which of the optional columns should be hidden from backend product catalogue page. Fixed the issue when uninstalling sellacious after "sellacious" folder renamed to something else, caused problem. Uninstalling individual extensions from sellacious package could break your site. Fixed this by disallowing the individual uninstall with a message that you need to uninstall entire package instead. Now shipping amount will be credited to seller if the item is shipped by seller and billed by seller. On an e-product page any uploaded sample files would be listed, earlier it was not displayed. Switching between variants on product details page is improved and faster. Now a currency which is being used as any seller's default currency or as the global shop currency cannot be unpublished. Product count in category blocks was including unpublished products. Now counting only published ones. Show shipping address only if the cart has some shippable items. All modules logic update to honour the allowed product type and other settings in the global configurations while displaying products. Previously module were showing all products without considering unpublished products. Fixed bug where cache was not updating correctly on product publish, unpublish and trash actions. We'll now automatically hide special category column in backend catalogue when no special category is published. Fixed SQL error shown when viewing orders list when there are no orders yet. Several other minor improvements and fixes. 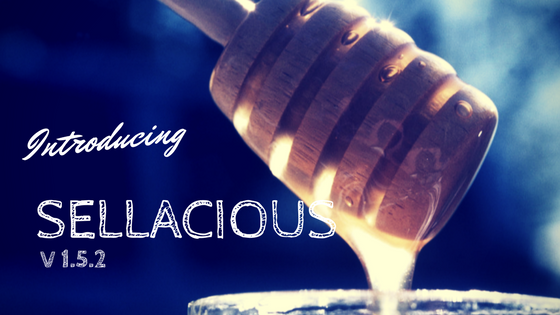 Why is Sellacious the best eCommerce Software for you?